Best city tour ever! Lois was so warm, friendly, extremely knowledgeable about the Vancouver area, and very accommodating to our family of six. She was terrific with my two young grandsons. We saw so many wonderful areas that I'm sure we would not have seen on another tour. We fell in love with Vancouver! I highly recommend that visitors consider taking this tour with Lois, the best tour guide we've ever met. Lois gave us a great tour of Vancouver. She is knowledgable, friendly and fun to be with. Loisis an exceptional guide.She had an itinerary planned but was very sensitive to the sites our group of four wanted to experience and knowledgeable enough to insert her own suggestions when we needed her.We're very tired just getting off a ship so she started with tea,coffee,pastries& conversation.After that we were off and running and the rain didn't hamper her one bit. We saw so much of the area and were back to the airport in plenty of time. Her vehicle is comfortable and roomy.She is such a delight! We took the Vancouver Highlights tour with Lois T, who was a superb tour guide. The tour itinerary was terrific because it provided us with an excellent overview of Vancouver and its sights. Lois was wonderful in giving us an overview of what we were going to do and then explaining each sight. This tour was 5 stars in all respects. Lois is an outstanding guide, her knowledge of the area was fantastic. Very personal and considerate, even furnished water on both tours. Very punctual, had a more than adequate Vehicle, there were 4 of us on the tour.enthusiastic, encouraging as were had a couple of elderly folks. Would highly recommend her services! Lois was fantastic. We highly regard her knowledge and assistance in places to eat and extra places to see in Van.Excellent driver . Tour could not have been better. Lois was a perfect match for us. She was full of information, pleasant, fun, and gave us a great variety of walking and driving during the tour. Very relaxing time to learn about this beautiful city! Thank you so much Lois! Lois exceeded our expectations on our private tour today. We had four adults and three active young boys and she was excellent keeping everyone engaged, educated and enthused for this new experience. 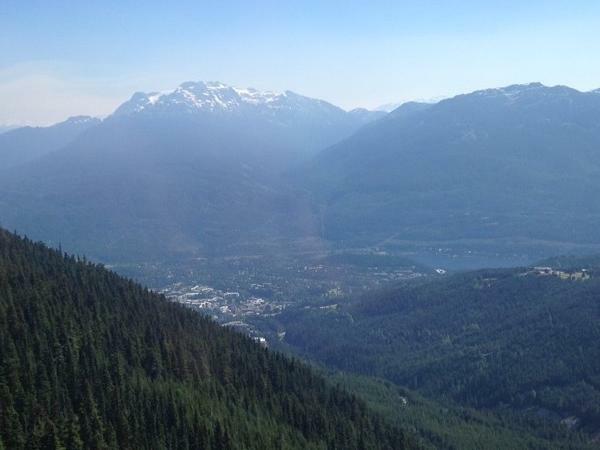 We highly recommend her for your tour from Vancouver to Whistler as she customized the tour to us while making suggestions that truly hit the mark. We couldn't have had a better day. She was a wonderful guide. She took us to all the highlights of Vancouver. She was very knowledgeable about the area and we enjoyed visiting and having lunch with her. We would recommend her to anyone visiting Vancouver. Lois was an outstanding tour guide. Her knowledge of the city and its history was impressive. She was very accommodating with our requests, including stopping to try a dish of Poutine. Spending the day with Lois was like meeting up with a dear friend, she is so friendly and energetic. We saw more of Vancouver than we had expected to see, we truly feel like we saw it all. Thank you Lois for such an amazing time in Vancouver. We thought Lois was fantastic, we loved her, her enthusiasm and her beautiful city. We felt like family. We will all miss Vancouver, especially Lois. Thank you. Lois was an amazing guide! Early which we appreciated! Very easy meeting place. Wonderful car, so spacious and comfortable. Very knowledgeable and friendly. Perfect!!! Fantastic way to spend a day! Lois is such a lovely lady with so much knowledge and interest in the area. We had the opportunity to see things along the route to Whistler which we would've missed if we'd driven ourselves. Lois' enthusiasm is matched by her flexibility, always ready to give alternatives throughout the day. We cannot recommend Lois enough, she even managed to keep our 15 year old interested and engaged in conversation! Excellent tour with Lois. She showed and told us about so many fascinating things in Vancouver! Lois was helpful, caring, and accommodating to our mixed physical abilities. Her professional manner and considerable knowledge made this tour fun for all of us! I'd take another tour with her anytime. We thoroughly enjoyed our tour of Vancouver with Lois. She was very personable, well organized, very knowledgeable about the area and an excellent driver with a great vehicle. We especially enjoyed Granville Island and Stanley Park. If we have one recommendation, we would suggest skipping the stop in Chinatown and spending more time in the beautiful Stanley Park area . This is our second ToursByLocals experience and we highly recommend this organization to anyone who is traveling. I cannot say enough good things about Lois as our guide. She was right there when we arrived. She listened carefully to things I definitely wanted to spend time seeing and planned our time accordingly. She gave us a wonderful tour of Vancouver. The Capilano Bridge and Park did was absolutely wonderful! From Stanley Park to Gastown to Granville Island and points in between, it was a wonderful tour. Lois clearly loves her work and her city. We were fortunate to have her as our guide. We were on an Alaska cruise ending in Vancouver. Our day with Lois was the best day we had even though the cruise was excellent. If touring Vancouver, especially Whistler, she is your best choice. I was extremely fortunate to take the half day Highlights of Vancouver tour with Lois. She is an incredibly friendly, personable guide who showed me many interesting sites and neighborhoods I would have not found on my own in one afternoon. She was attentive to personalize the tour to my interests. Her touring SUV was clean and posh. I recommend Lois and this tour without reservation. I had a great time! If you love nature, history and NICE people you'll love Lois. She was timely, enthusiastic and very flexible. Due to timing we had to make changes to the sites we wanted to see. Lois readily offered perfect alternatives. Her knowledge of Vancouver and its history made everything we saw so much more meaningful. She accompanied us throughout the Capsilano Suspension Bridge and her knowledge of nature and the park added to the experience. Spending the day with Lois was delightful. 5 stars and hug for Lois! Lois is an outstanding guide. Her knowledge of the region both past and present enabled us to have a memorable tour of Vancouver's highlights. Because of her experience and expertise, we were able to be at key sites throughout the city without having to fight crowds and lines. Her personal style is most accomodating, considerate, and professional. Lois is surely a "5 STAR" guide. Her personal style, caring considerations of our interests and wishes, coupled with her knowledge of the history and current state of affairs ensured an outstanding experience. TOUR GUIDE RESPONSE: Thank you again Susie! Lois was flexible and fun. Great to tour with. Lois had a hard act to follow, but she was up to the task. She gave good alternatives for us to choose from and added so much to the tours of Vancouver and Whistler. She even helped some of the group to better utilize their ability to hike the trails. She was a real professional. We were a group of two 70 year old couples. Lois gave us a very comprehensive tour of Vancouver that was lots of fun. She provided a very spacious SUV for us to travel in. We saw all the highlights of the city which we fell in love with. We were able to go where we wanted and were not restricted by a preplanned itinerary. Lois was fun to be with and is very warm and welcoming. Terrific tour guide. Was on time and great personality. The vehicle was clean and immaculate. Lois provided interesting information, was a good communicator and gracious. The value of the tour was exceptional. Lois was versatile as she accommodated my wife and myself and my wife's parents who were 89 years old. Would hire Lois again! We had an awesome day with Lois, she was so accomodating in assisting us both before and during our tour. We were a group of six from Australia, we just loved her super comfortable car and had many laughs together. Trust me you will love your tour with Lois she is just amazing. Excellent tour! Guide was very knowledgable and we learned a lot about Vancouver. Would highly recommend this tour! Great guide, really friendly, very knowledgeable. Made sure we saw everything we wanted to, and a bit more. Genuinely interested in places we wanted to visit that she hadn't been to and happy to wait around whilst all / some of our group did activities. Medical emergency on the way home (following a child's fall) quickly worked out where we could go to sort it, stayed with us and did not question late return home. Could not rate her more highly. Our tour with Lois in Vancouver was excellent. She was on time, her car is great and confortable and she took us to the main highlights of the city. She has a great sense of humor and we felt we has a great tour. I highly reccomend her. Why would anyone take one of those bus tours when they could go with Lois? Very personable and accommodating and always on time - early actually. A wealth of knowledge and so flexible. She got our trip off to a terrific start! We were met by Lois as we disembarked from our cruiseship in Vancouver, BC on July 1, 2016. We immediately felt comfortable,as she was extremely warm and friendly. It was as though we had known her for a long time. She was very flexible as to time and areas toured, and was extremely knowledgeable of Vancouver's history. She was mindful of our time constraints and made sure that we were dropped us off at the Amtrak Station on time. We highly recommend Lois as a personal guide & a lovely person. We had a great tour with Lois and cannot recommend her highly enough. She is very friendly and nothing is too much trouble. Her vehicle is so spacious we felt like we were sitting in lounge chairs. Never will book a bus tour again after experiencing this first class service. Thanks for a great day Lois. The kids and I have this memory as a highlight of our holiday. Our tour to Whistler with Lois was terrific. Lois was very knowledgeable and the tour was was arranged with our needs and requests in mind. We so enjoyed our day with Lois. She was so knowledgable about the Beautiful City of Vancouver and you could tell how much she loved this City. We are so glad we made this choice of tours. She was Wonderful. Thanks Lois! Lois did a great job in showing us all the sights and some. She is a confident, comfortable guide who can do a great job with any group. We (group of five women), thoroughly enjoyed having her as our guide. Lois is an excellent guide who is not only knowledgeable about her city but also a caring person. She made our visit fun and comfortable adapting our schedule and sight seeing to accommodate a person in our group who suffered back problems. We enjoyed her sense of humor, her ability to make us comfortable and her organizational skills. We recommend Lois wholeheartedly as a tour guide. She's great!! !